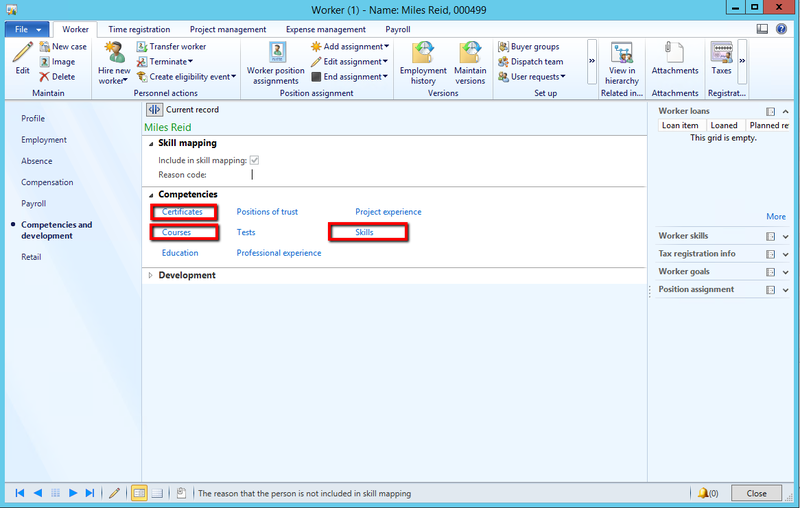 The resources in AX 2012 have properties that can be used to differentiate them from each other making for a much better and precise resource planning. Resource type, Resource group and resource speak for it self. 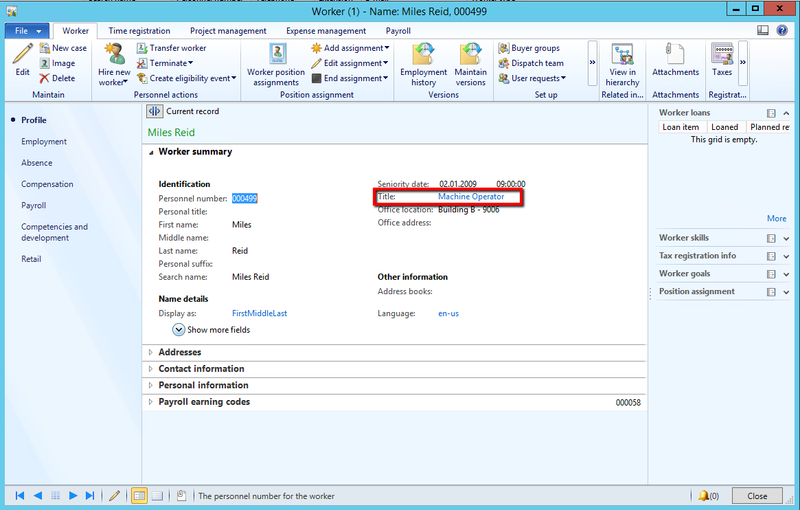 Capabilities are new to AX 2012 and is a great functionality. This property can be shared between all types of resources. There is also a capabilities map to view resources and I encourage my customers to use this widely throughout their production planning to increase precision. A capability is connected to a Resource. 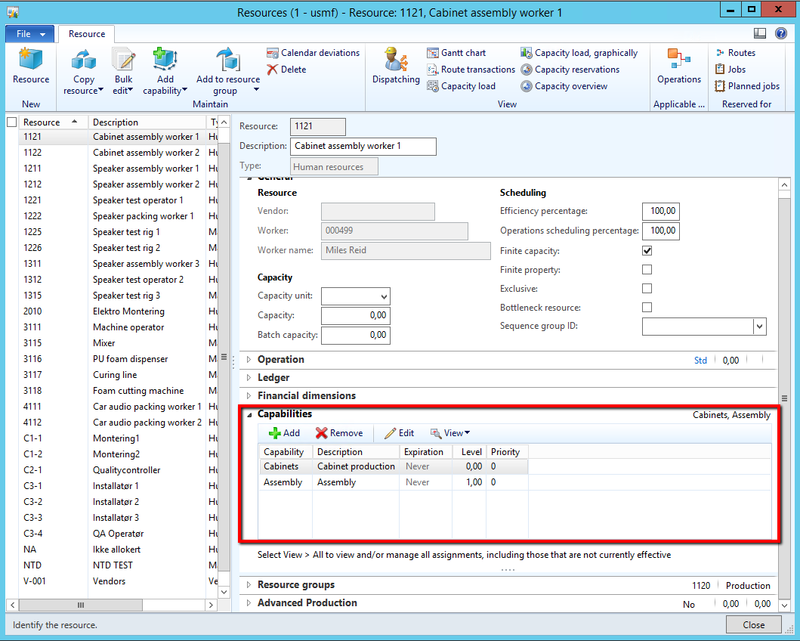 It can contain an expiration date if a resource should loose the capability at a certain date. 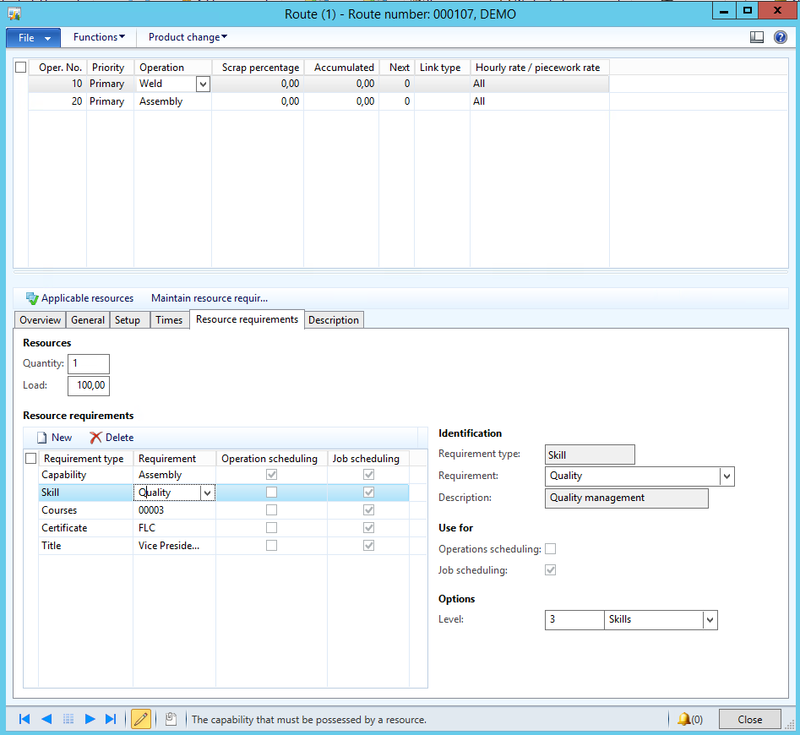 Level can be defined on the route operations resource requirements and works so that a resource can have higher og equal level to the requirement, but not lower. Example of use can be a physical restriction capability (like weight/length/width…) where an Assembly station can not exceed the limits given on the operation. Keep in mind that production planning always select the resource first by alpha numeric order. Priority can be used to break this and select a resource that is most suited. Example of use can be where two human resources can perform two tasks, but one is better than the other at one capability and the second is better at another capability. 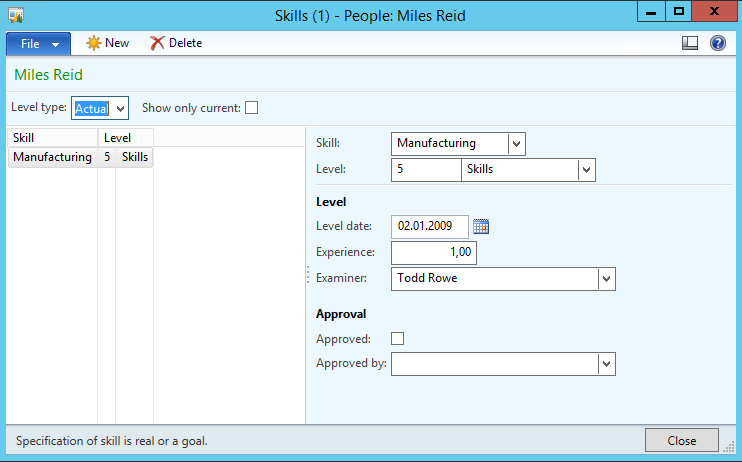 This really elevate resource planning within a resource group to find the best suited resource for the job. There are four types associated with human resources. These competencies can be tracked through goal oriented management and you can create a road map and track progression. Title is used for multiple purposes. One of them is purchase requisition monetary approval limit. So be aware of this when using this. The three other is found under Competencies and development. Skill has the ability to have levels like capabilities. Only higher or equal skill level apply. You can create the rating type Your self like (Good | Normal | Bad), (Very high | High | Normal | Low) and so on. These can also be approved, but that is not required to be included as a viable resource. Certificates have the great feature that they can expire. You can track expiration on them through reports and make sure that your resources have the right papers to perform their job. 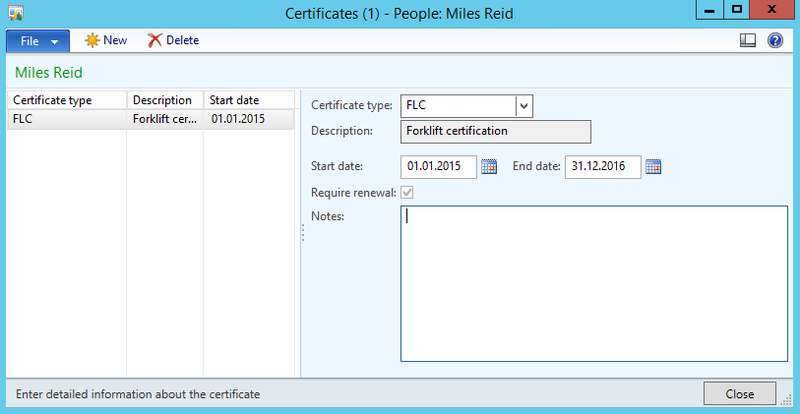 If the certificate expire the resource will not be available for planning. Courses is a pretty big feature in HR, but let me just scratch the top here. You can create courses that the employees can attend. They can also apply for participation through enterprise portal. After completing a coarse they will get a record entry in the courses table. You can also add them manually. To use this in a route. 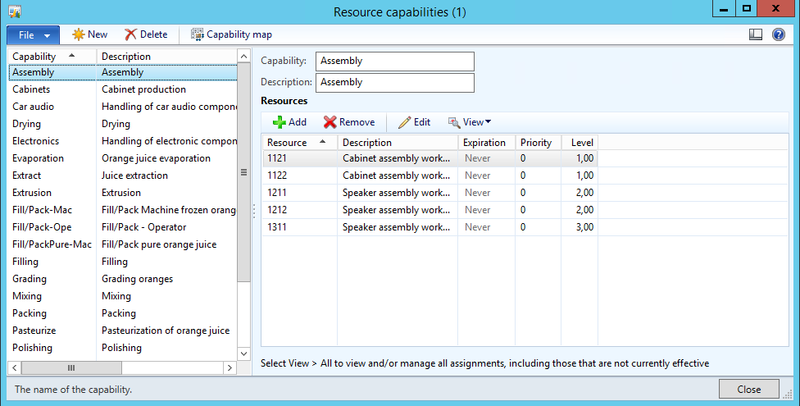 Just find the property under the resource requirements on the operation. So don’t get stuck in the old ways of joining a route operation directly to a resource or resource group. Expand your vision and get creative.